This beautifully decorated 3 bedroom detached property would make an excellent family home. It is located in a good residential area and close to all amenities. Accommodation comprises: Entrance Hall, Sitting Room, Kitchen/Dining Room, Utility, 3 Bedrooms (1 Ensuite) and Bathroom. It has a large garden, not overlooked, to the rear and the balcony located off the main bedroom overlooks a large green area to the front. Viewing recommended. 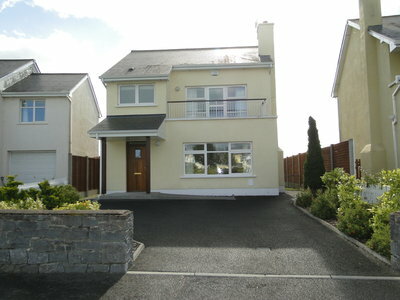 Previous Listing27 Millrace, Bealnamullia, Athlone.Next ListingTone’s Rd., Walderstown, Athlone.